November 12, 2011 - Representatives of the Coalition to Save Our GPS on told the Space Based Positioning, Navigation, and Timing (PNT) National Advisory Board that if LightSquared is allowed to proceed with the its plans to establish a high powered terrestrial broadband network in spectrum long reserved for satellite transmissions the costs and disruption to industry, government and individuals will be immense and far reaching, and said that LightSquared should be foreclosed from using the upper mobile satellite spectrum (MSS). LightSquared is a company that plans to develop a wholesale 4G LTE (Long Term Evolution) wireless broadband communications network integrated with satellite coverage across the United States. LightSquared traces its roots back to 1988 and was known as American Mobile Satellite Corporation and later as Mobile Satellite Ventures after a merger between Motient Corporation and TMI Communications. It was most recently known as Skyterra, a company that provided comprehensive mobile satellite communications services. The company has operated in the North American market with two geostationary satellites since 1995. 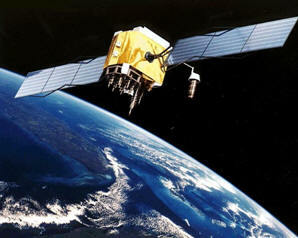 MSAT-2 is licensed in the United States and was launched in 1995. MSAT-1 is licensed in Canada and was launched in 1996. LightSquared was granted the first license to deploy and provide terrestrial service in the L-Band spectrum in November 2004. In 2011, LightSquared announced that it had signed a 15-year agreement with Sprint to build and operate its wireless network. In a January 12, 2011 letter to the FCC, National Telecommunications and Information Administration (NTIA) chief Lawrence Strickling said that LightSquared's hybrid mobile broadband services raise "significant interference concerns. Grant of the LightSquared waiver would create a new interference environment and it is incumbent on the FCC to deal with the resulting interference issues before any interference occurs. Several federal agencies with vital concerns about this spectrum band, including the Departments of Defense, Transportation and Homeland Security, have informed NTIA that they believe the FCC should defer action on the LightSquared waiver until these interference concerns are satisfactorily addressed." Executives from Coalition members participating in a panel discussion in an open session of the PNT Advisory Board included Jim Kirkland, Vice President and General Counsel of Trimble, and Scott Burgett, Director of GNSS Technology of Garmin. Kirkland told the PNT that the Coalition, in a filing yesterday with the Federal Communications Commission (FCC) and a subsequent news release, seeks to have the Commission rule that LightSquared cannot use the upper MSS band for high powered terrestrial operations. ?Currently,? he said, ?LightSquared is asking everyone to concentrate on the lower band and its proposed solutions for using that spectrum, which are still being tested. But as long as the upper band, which LightSquared has said it hopes to use in the next few years, is still on the table that creates a tremendous amount of uncertainty in planning for all GPS users. ?It means, if a reasonable solution is found in the lower band, although that remains to be seen, that GPS users could face the prospect of a time consuming and highly disruptive transition in the lower band merely to be faced with being asked to do so again in the upper band just a few years later. This is particularly untenable for critical government users including defense and aviation, given the lengthy testing and certification cycles needed to protect the safety of air travelers and our military personnel.? The PNT Advisory Board heard a presentation from Dr. Javad Ashjaee, who has announced that his company will make available new equipment that may reduce interference from LightSquared?s proposed lower band operations. Kirkland stated that, ?We look forward to the further testing that could validate Dr. Ashjaee?s technical claims, which NTIA will be conducting. Even if they are confirmed, however, Dr. Ashjaee?s presentation confirms that his company?s equipment does not provide a solution for use of the upper 10 MHz of LightSquared?s spectrum. It also confirms that the cost to retrofit existing equipment would be hundreds or even thousands of dollars per device. This translates to a cost of hundreds of millions or more for the private user base alone, not including transition costs for government uses such as defense and aviation, which are immense. ?It is also clear that this solution only addresses a small portion of the existing user base and that retrofit options will need to be developed for the broader user base. There are an estimated 750,000 to 1 million high‐precision GPS receivers in use in the United States. They vary widely, with hundreds of different high‐precision devices used in performing thousands of different tasks.? Scott Burgett of Garmin told the panel that ? [t]he solutions that we have seen are intended for high precision receivers and do not solve the problems that LightSquared?s proposed high power terrestrial broadband network will cause to the millions of general location/navigation devices, including non‐certified aviation products, and FAA‐certified devices essential for safe operation of general aviation aircraft. ?Engineering solutions for general location/navigation receivers and aviation receivers that meet requirements for safety of flight present challenges very different from addressing high precision devices. The solutions offered to date do not address these issues for the installed base of GLN and aviation products. Many GLN devices will experience problems if LightSquared?s commercial operations are allowed to proceed. LightSquared?s claim that over 99 percent of general location/navigation devices and cell phones will be unaffected ignores the hard evidence and relies on inappropriate technical criteria.? Kirkland stated that when and if technical solutions for the lower band are confirmed by testing, LightSquared must still be required to bear all costs of any transition to introduce these solutions. ?LightSquared?s repeated attempts at revisionist history notwithstanding, LightSquared was not authorized to provide ubiquitous terrestrial only service prior to January 2011. Before that, LightSquared was only authorized to provide limited fill‐in terrestrial services to extend its satellite coverage footprint, which the FCC confirmed as recently as March 2010. FCC policy is clear and consistent ? a party proposing a fundamentally new use of spectrum must bear the costs of implementing the change. LightSquared?s self‐serving claims that the GPS community should have seen this coming and designed their equipment differently are nothing more than hollow rhetoric designed to obscure the fact that LightSquared did not see the interference issue coming and is now trying to shift the blame to the companies making up one of the most innovative sectors of our economy. The 2012 Bahamas & Caribbean Pilot's Guide Still The Best After 34 Years!